Federwild offers two types of waterfowl hunting. Mallards are raised at Federwild in our refuge pond. Forty ducks or more are released per hunt. You have the option of adding ducks for an additional cost. The mallard hunts start at 7:00 am at the pond in front of the lodge in walk-out, camouflaged wood constructed blinds. We call it "gentleman" duck hunting. These birds are strong flyers and present a challenge to lay down on the pond. Our wood duck pond offers old school water fowl hunting. Bring your waders or boat and we will depart an hour before daybreak to get set up. The area also offers other species of ducks such as Teal, Ring Neck, and Mergansers. Geese also occasionally feed in this pond. Federwild duck hunts offer exciting and challenging shooting opportunities to the "gentleman" duck hunter. A guide is provided in every camouflaged blind to call the ducks into your decoy setup. The option to add mallards at $35.00 per duck allows hunters the opportunity to hunt all they can afford. No limits, no worries. A mallard duck hunt may be added on to other hunts at a discounted rate. Please review lodging options and costs on our Lodging Page. 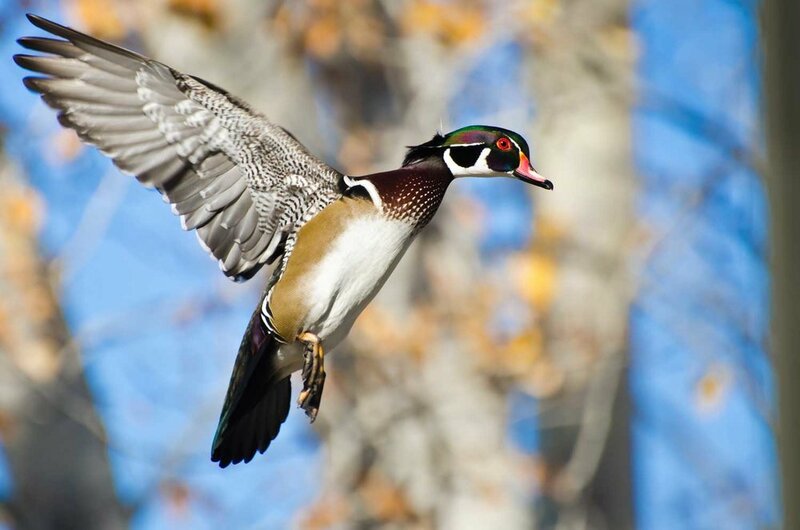 We offer old school wood duck hunting at our Federwild woody pond. We will be leaving before the rooster crows and setting up to hunt the beautiful and colorful wood duck. Other super speedy ducks like the Teal, Ring Neck, and Mergansers may come our way also. Geese have been raised in the area and fly from pond to pond feeding and roosting. Be prepared for anything.